The state is working to reduce water pollution from its largest fish hatchery, in the Lakes Region, while planning for long-term upgrades. 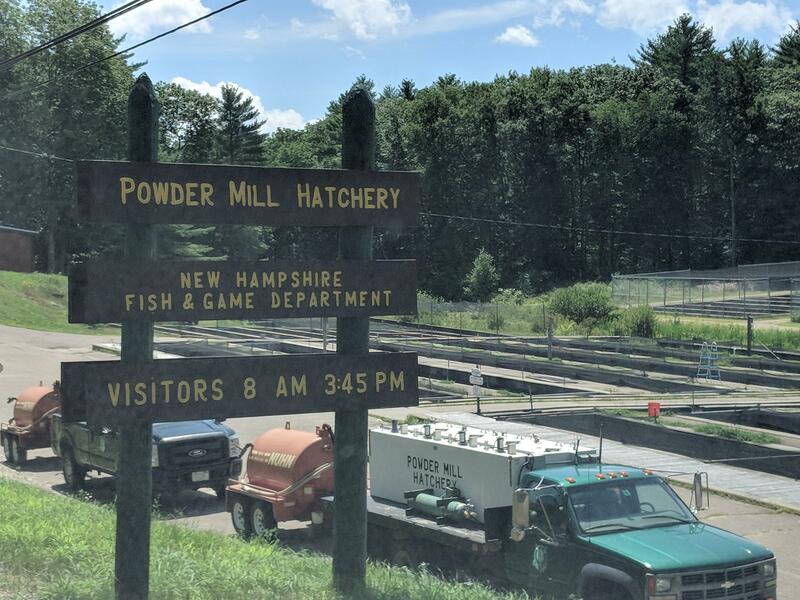 This week, New Hampshire Fish and Game will move 50,000 salmon from its Powder Mill Hatchery to a federal hatchery in Nashua. The move has been in the works since late last year but was delayed due to the partial government shutdown. The state's inland fisheries manager Jason Smith says they'll also switch to cleaner fish food later this year and store excess fish waste in the empty salmon pens for eventual use as fertilizer. He says these steps should temporarily reduce how much nutrient-rich fish waste Powder Mill discharges into the Merrymeeting River, where degraded water quality is now the subject of a federal lawsuit. A new wastewater treatment system is needed to fully fix the problem, but the details are still being worked out, and depend in part on a new, long-overdue federal permit. For now, Smith says officials are working with a rough estimate of how clean their discharge should be. “It’s just an effort to get the process moving slightly quicker,” he says. Smith expects they’ll seek state funding for the new treatment system within the next few years. Some of that money could come from a bill in the state legislature that would charge trout and salmon fishermen extra for licenses to help pay for the Powder Mill upgrades.